Do you need somewhere to keep all your pretty kryptonite? 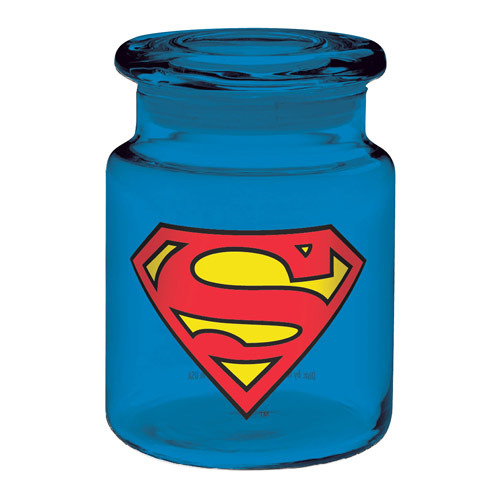 Well, look no further, because the Superman Logo 6 oz. Blue Glass Apothecary Jar is perfect for the job! Store all your goods from this world or the next in this glass jar that holds up to 6-ounces of liquid! Do not microwave. Hand wash only. Not dishwasher safe.